The National Institute of Folk and Traditional Heritage, Lok Virsa, will present the Pakistani classic "Taj Mahal" from the Urdu film "Taj Mahal" from 1968 under his Mandwa Film Club this morning for the audience of the twin cities Rawalpindi and Islamabad. "Taj Mehal" is starred by Zaida with Zeba, Mohammad Ali, Habib, Yousuf Khan, Munawar Zarif, Talish and also Sultan Rahi. The songs are written by Tanvir Naqvi and Kaleem Usmani. The composer is Nisar Bazmi, who composed outstanding songs in the voices of Noorjahan, Mala, Irene Parveen and others. Najma Niazi, Runa Laila, Munir Hussain, Mehdi Hassan, Ahmad Rushdi and Masood Rana. "Taj Mehal" was produced on a large budget to capture the lifestyle and famous history of Mughals. 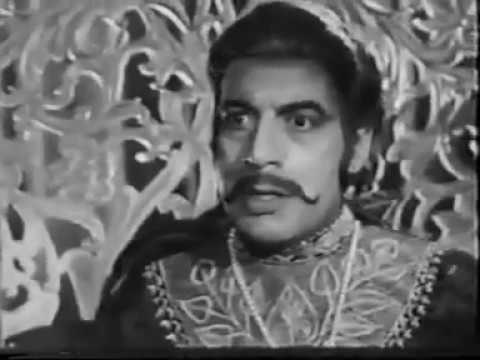 Mohammad Ali plays the main role of a prince. Some of the memorable songs from the film are "Aaj Waada Wafa Karna Hoga", "Mohabbat Jurm Hay Tau Ham Jurm Ka Iqrar Kartay Grove", "Tu Hay Sarapa Taj Mahal A Jan-e-Ghazal". This is a free demonstration that is open to public events. Lokwa's Mandwa Film Club is an initiative of the Institute to revitalize classic cinema in sister cities and engage fun lovers in healthy activities that keep alive the culture and traditions of the younger generation, the organizers said. The Mandwa Club shows national and international classic hits every weekend, inviting viewers from all walks of life to entertain and participate in cultural programs.